This is the first post in a series where we'll be looking at where you should be driving when you take a power cart at Tacoma. 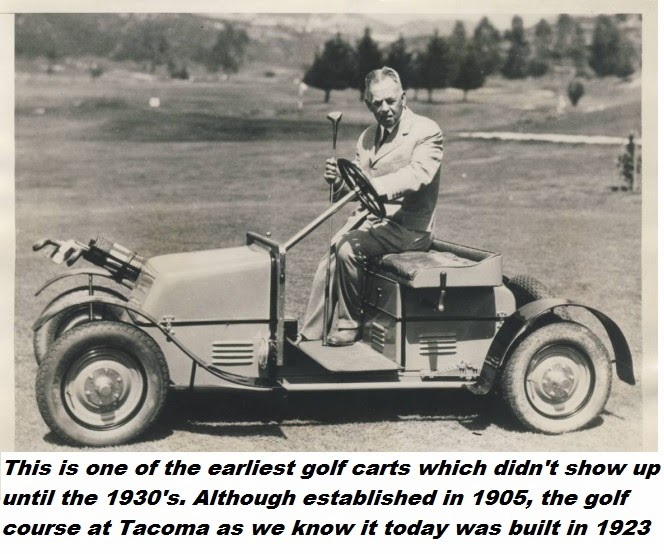 Golf courses built during the "golden era" of golf architecture, like the course at Tacoma, were built without the consideration of power cart traffic or cart path construction since during that time period in the early 1920's, no one thought about driving while playing golf, and golf carts had yet to be invented. As a result, many of the designs from that period have an unmistakable charm, but they simply aren't very cart-friendly. This often creates issues with turf quality where carts converge around greens and tees. Tacoma C&GC is fortunate to have a course which was built upon free draining soil where the need for continuous cart paths has never been deemed necessary. However, throughout the years, cart paths were built around greens and tees where cart traffic was concentrated. Today we have come full circle and are trying to eliminate those cart paths. In order for this to work, you need a method of dealing with the compaction that results from traffic, and good growing conditions so that some acceptable level of turf quality exists in the traffic areas. We deal with the compaction by using aerification machines and punching holes in these areas several times a year. In addition, we follow up the punching with sand topdressing. Sand topdressing modifies the soil in these areas so that further compaction is minimized. Next we do a lot of overseeding in these areas to introduce new plants which increases density of the turf stand. Lastly, we improve growing conditions by thinning trees to increase sunlight and air flow. All of this effort is working and to date, each area where we have removed a path, the turf quality has remained satisfactory. Now we have the problem that folks are unsure where to drive their carts. Hence the need for this series of tutorials where I'll be teaching you how to "be cart smart". Over the next few months, I will try and communicate the best places to drive your power cart in each situation that you might find at Tacoma. HOW TO "BE CART SMART"
First, there's a couple general rules that apply to almost every situation you'll find on the course. First rule.......stay at least 30 yards from the greens. Don't follow in the same tracks as everyone else. Take a slightly different path whenever possible. In one word......SCATTER. This helps distribute the wear patterns over a larger area. Next, and final general rule...............keep your eyes open. Okay that seems obvious as driving with your eyes closed would be very dangerous, but what I really mean is look for anything and everything. Be attentive to soft looking areas and stay clear of them. Observe signage or ropes that are there with the intent to guide you. 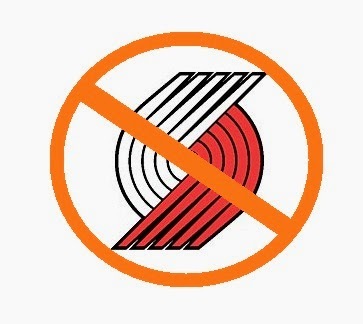 I know, you've heard all this before, and right now you're probably about ready to stop reading this blog, but please don't. Now we're going to get down to specifics. Now we're going to talk about individual areas on the course where you might not know where you're supposed to drive because it's not so obvious. As discussed in the last post, once 9 tee is completely renovated, you should be taking your power cart to the left of the 9th tee in order to minimize traffic through the area left of the 8th green which is the shortest route to the 9th tee, and the logical route that should be reserved for those that are walking. Keep in mind when I'm talking about being "cart smart", I'm talking only about those folks driving power carts. So what about going from 5 green to 6 tee through this new area? To put it simply, just take the shortest route since it will help distribute traffic over a larger area. As you can see in the diagram above, you have several options. The white colored path is how you might go if your headed to the restroom, the white tee, or the green tee on #6. The blue colored path shows a direct route to the blue tees on #6. If your playing the black tees you might take the direct route depicted by the black colored path. Now obviously if someone is teeing off on #9 you should not cut in front of them but drive around so you would probably take a route similar to the white colored path. 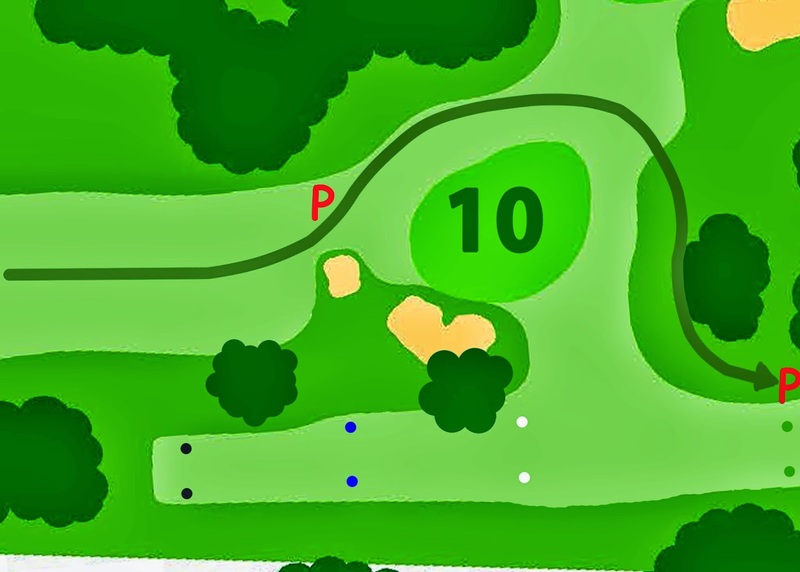 Okay that's pretty logical but with the recent renovation of the tee on #11, it may not seem obvious where to drive your cart so check out the following images below. The first image here shows how the new 10th green and 11th tee complex is configured. The next image below shows where you should drive if you're playing the black tees. Now the next image below has a blue colored path so yes this is the route you would take if playing the blue tees. Logically the next image depicts the route for those playing the white tees. Lastly, here is the route you should take if you're playing the green tees. Notice all the routes are slightly different which means wear and compaction is distributed over a larger area. By the way, the red "P" is where you would park to play your ball on the 10th green and then where you'd park to tee off on the 11th. Okay that's enough for now. I hope this has been helpful. More "be cart smart" tutorials will be coming shortly. Please don't hesitate to contact me with questions or concerns about this issue.